Broadway In Chicago, the producers of HEARTBREAK HOTEL, and Authentic Brands Group (ABG), owner of Elvis Presley Enterprises today, announce a musical premiere that will ignite the stage of the Broadway Playhouse. HEARTBREAK HOTEL, the live musical, will make its debut at Broadway In Chicago’s Broadway Playhouse at Water Tower Place (175 E. Chestnut) for a limited engagement, running from June 30 through September 9, 2018. 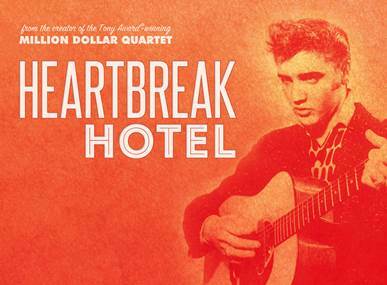 From the creator of the Tony Award-winning smash-hit Million Dollar Quartet, HEARTBREAK HOTEL is a record-breaking musical, selling out at its world premiere at the historic Ogunquit Playhouse. 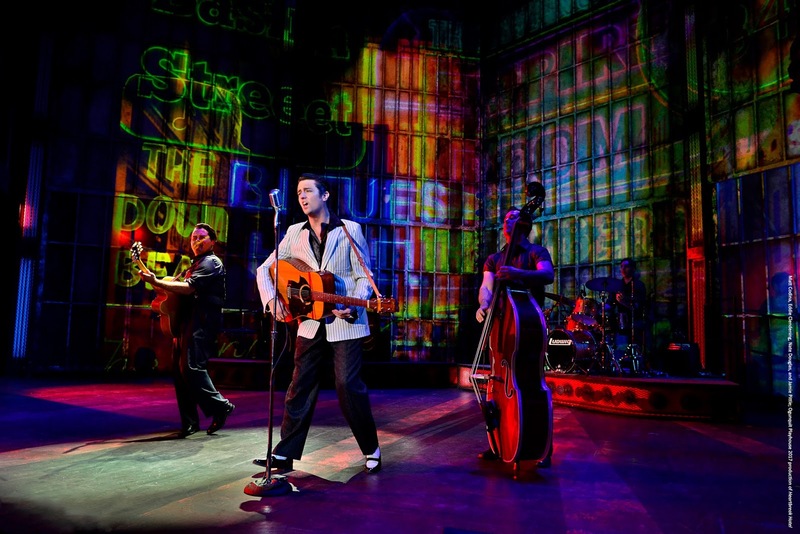 This prequel to Million Dollar Quartet follows the tender story of Elvis Presley in the early years of his bourgeoning career as he and Sam Phillips create the music that will forever change their lives. As Elvis’ career skyrockets, both lifting and shattering the lives of those he loves, a secret love story is revealed, a betrayal is discovered, and “Colonel” Tom Parker changes the course of history, all in just 18 short months. “For those who long for another trip down memory lane with Elvis, for those that want to recreate the excitement of Million Dollar Quartet, and for those that want to dance in their seats – don’t miss this show!” Eileen LaCario, Vice President of Broadway In Chicago said. Casting will be announced in the coming months. Tickets for HEARTBREAK HOTEL at the Broadway Playhouse at Water Tower Place (175 E. Chestnut) are available now for groups of 10 or more by calling Broadway In Chicago Group Sales at (312) 977-1710 or emailing GroupSales@BroadwayInChicago.com. Individual tickets will go on sale at a later date. For more information, visit www.BroadwayInChicago.com. Broadway In Chicago was created in July 2000 and over the past 17 years has grown to be one of the largest commercial touring homes in the country. A Nederlander Presentation, Broadway In Chicago lights up the Chicago Theater District entertaining over 1.7 million people annually in five theatres. Broadway In Chicago presents a full range of entertainment, including musicals and plays, on the stages of five of the finest theatres in Chicago’s Loop including the Cadillac Palace Theatre, CIBC Theatre, Oriental Theatre, and just off the Magnificent Mile, the Broadway Playhouse at Water Tower Place and presenting Broadway shows at The Auditorium Theatre of Roosevelt University. For more information, visit www.BroadwayInChicago.com. HEARTBREAK HOTEL is produced by Floyd Mutrux, Mitch and Bonnie Bloom (Temple Dog Productions), Bruce Bendell and Jamie Bendell (Big Block Media), Scott Prisand (Robbins Lane) and Jeff Berg through their entity Heartbreak King Productions, LLC.